Wow it sure has been a long time since I've blogged! Lots has happened and lifes been crazy! Got pounded with snow, almost 4 feet of it! That was an adventure all in its own. But running 2 etsy shops, 2 blogs, 2 facebook fan pages, and College has proved to be a task in its self. Clearly 1 of my shops and blogs have been a little neglected... So I'm going to have to step it up! 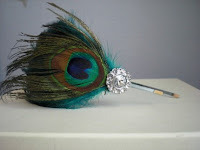 Im going to list some new things in the shop, and start posting on this blog again! Its about time if you ask me! Have a wonderful day everyone! I look forward to getting back into this! And the winner is................... Mingon! Thank you to everyone who participated!!! This weeks feature is of a wonderful shop called Tres Belle Knits! This shop is full of wonderful Knit and Crochet items! And now to hear from the owner! She has also been kind enough to do a giveaway! 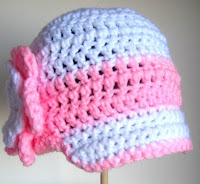 You get to pick what ever crochet hat you want from her shop in any size and any color!!! I used some of her hat pictures in the feature, so you can see some of the cute ones she makes!Thats such a great offer! My name is Christina, I live in Hamilton, Ontario, Canada and I'm a stay-at-home mom to my almost 2 year old daughter. I opened my shop in November of 2009 and it features hand knit and crochet clothing and accessories for the whole family. I've never been a creative person. As a teen I wrote the normal "emo" poetry (lol), but that's about it.I've always loved the look of hand knit and crochet items but I figured those were difficult things to master, so I admired from afar.After my daughter was born in March of 2008, she received a wonderful cardigan from her Great Aunt Linda. That's what really got the ball rolling for me.I started looking up knitting websites and came across knittinghelp.com. Things just took off from there. I taught mysel f with the video's on that site and on You Tube and I asked many, many questions on the knittinghelp forum. After a year of knitting...and a VERY busy Christmas season in my shop...I needed a break from my needles.I put them down for a week or so, but I found myself getting bored. I always sat and watched TV with my needles in my hands and without them, I felt edgy and fidgety.A good friend of mine is an amazing crocheter. She had always encouraged me to give it a try but I was happy with my knitting. When I took my knitting break, I picked up the crochet hook and once again taught myself. She answered all of my questions through Facebook (We've never actually met in person. We belonged to an online mommy group and became fast online friends). I again watched many You Tube videos and bought myself a learn to crochet kit. After knitting, crochet was a breeze and I took to it right away!My daughter's name is Belle, which means "beautiful" in French, so I knew I wanted to use that. Joy, the friend that "taught" me to crochet was once again a big help. When I opened my shop, I only knew how to knit....there was no crocheting involved yet. So I messaged her with a few ideas. Belle Knits just didn't sound right to me. 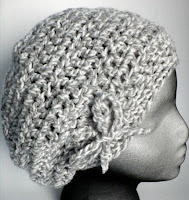 Out of the few names I sent her, Joy said that Tres Belle Knits was the one, so that was what I chose. It means tres belle means "very beautiful" in French. Although when we get the option, I'll be changing it to Tres Belle Knit and Crochet. So now I've been knitting since December of 2009 and crocheting for about 2 months now. Where else can you find Tres Belle Knits??? How about here! 1) Be a follower of this blog to enter! 2) Go to Tres Belle Knits Shop and pick out your favorite item, and leave a comment with that item in it! Hi everyone! Ive started my features!!! This was originally posted on The Green Haven blog, but I decided to post the features on both blogs!!! The first shop being featured is....... Peppermint Sage! And what an adorable shop it is! (Giveaway info at the bottom of the article) Heres a little bit of information on the shop from the shop owner! My shop started because I work for the State of California and I de cided to be proactive and use my furlough days as a way to generate extra income. I wanted to do something with re-purposed fabric, so I started off making reversible wine bags and sunglass cases...but I found myself gravitating to making accessories and mostly that is what I make now. 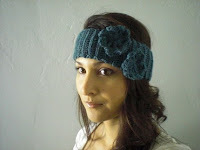 Headbands, bib necklaces, and some crochet ear warmers. The shop name is a compilation of my dog's name: Peppermint and Sage because that is my favorite color and I garden too so it just seemed to flow. I started learning to crochet in college about 7 years ago, from my roommate. I just learned to sew a few months ago because I always wanted to learn but never had the opportunity. So, with the help of the internet and a couple of friends I resurrected my mom's sewing machine from the garage and picked it up quick. I’m a gal in my early thirties, who loves to create pretty things. While also going back to college for a second degree in Nutrition, and I just enjoy hanging with family and friends. PeppermintSage has been kind enough to host a giveaway!!! 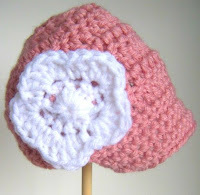 She is offering up an adorable ear warmer! The winner will get to pick the color of the warmer as well! They come in 3 colors, teal, heather gray, and heather pink. (The teal ear warmer is pictured to the right! Isnt it adorable!!!) The winner of this giveaway will be announced on next Fridays Feature! To Enter: You must do BOTH of the following! 1) You must be a follower of this blog to enter! 2) Go to PeppermintSage’s shop and pick out your favorite item, and leave a comment with that item in it! Buy a Gift Certificate to My Shop!